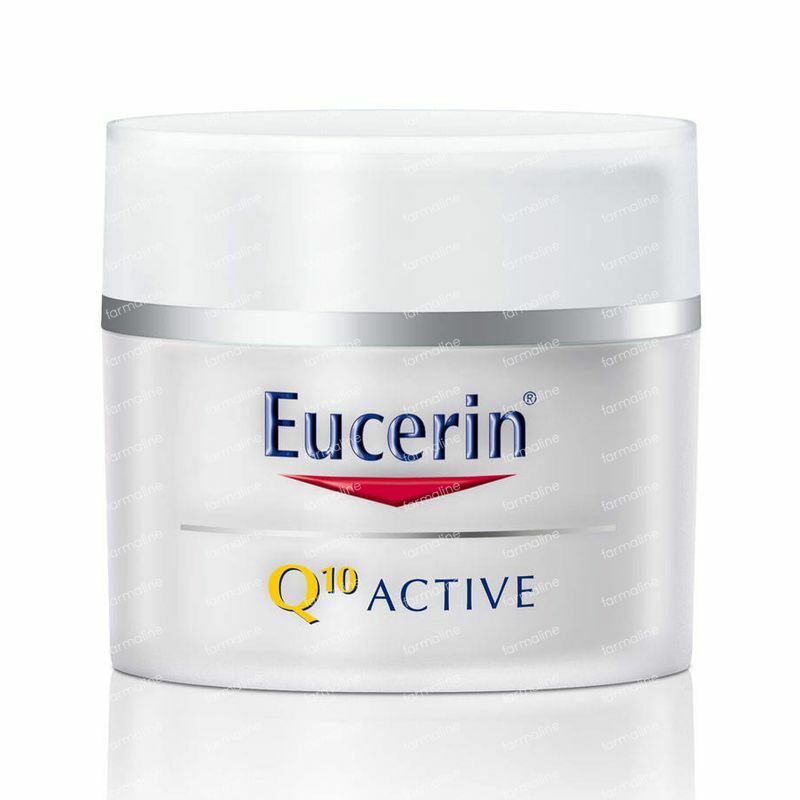 Eucerin Q10 ACTIVE Day Cream 50 ml order online. - Added antioxidants Vitamins C, E and H (Biotin) nourish dry skin and reduce inflammation, so skin is better protected against free-radical attack. - Formulated without fragrance, artificial colour or alcohol for dry, sensitive skin that’s easily irritated. With regular use skin appears smoother and firmer. A caring day cream for dry, sensitive skin with Coenzyme Q10 to reenergise cells and help prevent signs of premature ageing. 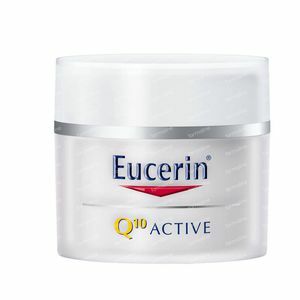 Anti-wrinkle formula with Coenzyme Q10 for dry, sensitive skin. - First time users are recommended to apply the product on the inner forearm and assess skin condition for at least a day before applying it to the face.Use in the morning on well cleansed skin. 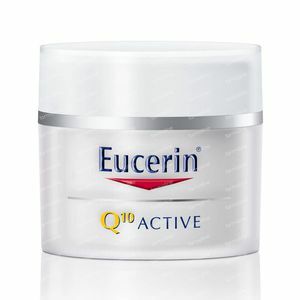 - Follow with Eucerin Q10 ACTIVE Eye Cream. 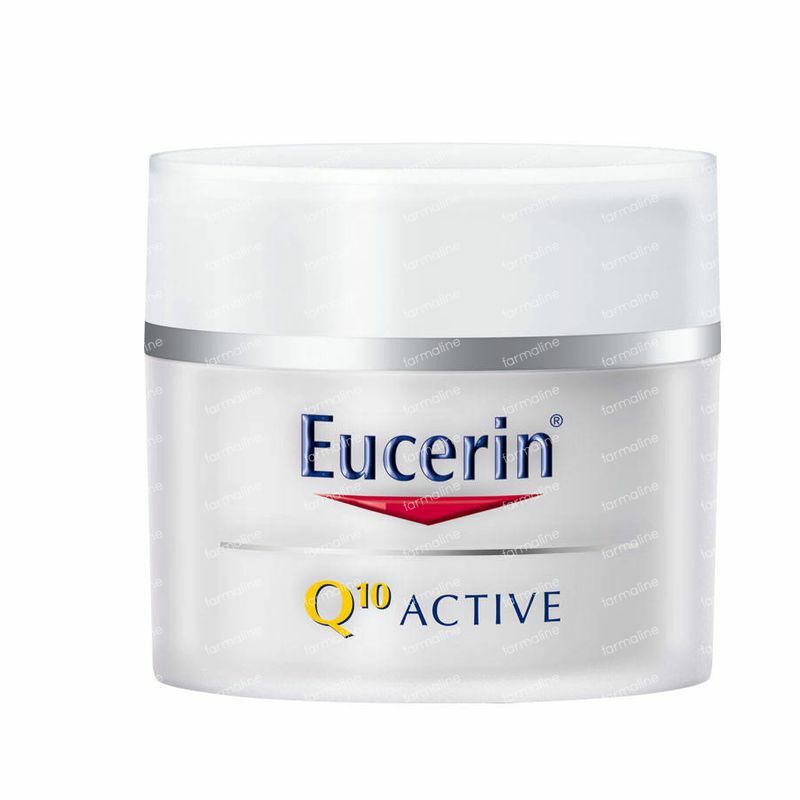 - Wait five to ten minutes before applying make-up.The light yellow colouris due to the natural colour of the ingredients, Q10 ACTIVE does not contain any colourants. - Using the product for the first time please read the enclosed leaflet. Avoid contact with the eyes.